(Carey Wedler) After spending over a decade out of the spotlight following his public exit from his 2000s hit Chappelle’s Show, this week comedian Dave Chappelle released two stand-up specials on Netflix. The wildly politically incorrect sets have already drawn criticism from gay and transgender communities, but while his comedy certainly poked fun at the two minorities, it also lambasted numerous subgroups in America. Chappelle targeted everyone from white people to black people to Asians, women, celebrities, Donald Trump, and the Hollywood establishment. 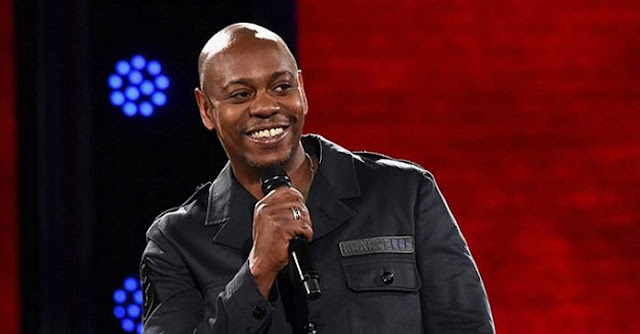 Though much of the buzz surrounding the highly anticipated Netflix specials focused on Chappelle’s arguably offensive jokes about minority groups, much of his most salient commentary focused on the government and racial injustice within the system. Chappelle did not shy away from discussing race and politics. In his second set, “Deep In The Heart Of Texas: Live At Austin City Limits,” filmed in 2015, he tackled it head on. Most importantly, Chappelle proved himself fearless in confronting deeply uncomfortable realities about American society, culture, and government, dropping otherwise shocking bits of information in with classic Chappelle comedy. Chappelle, who famously left the limelight when his often politically and racially charged Chappelle’s Show was reaching new levels of popularity, will produce a third special for Netflix viewers to be released later this year. It is expected to tackle the 2016 election and the new era of Donald Trump.